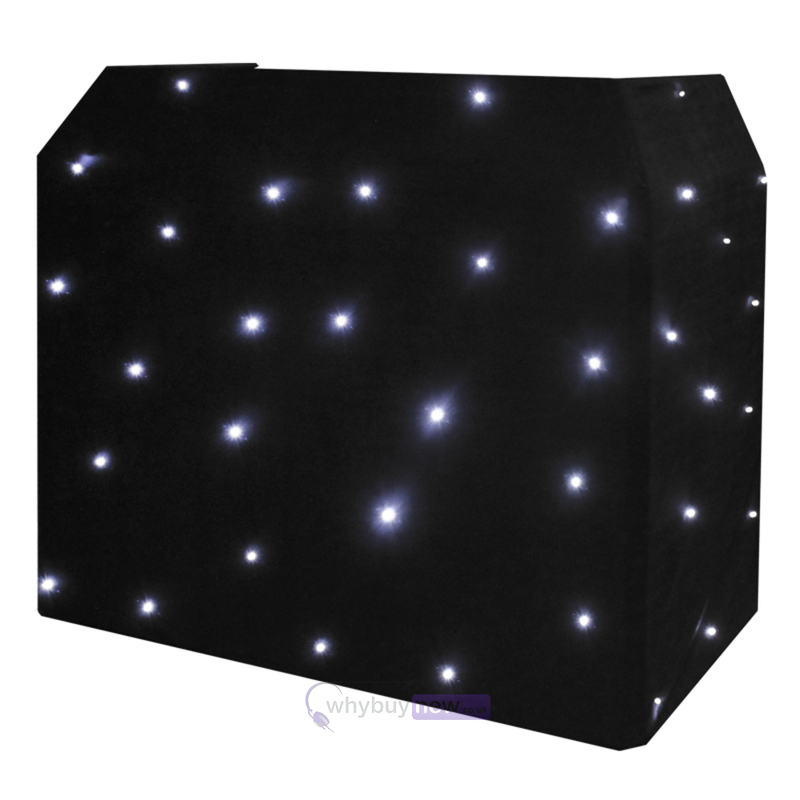 Here we have the Equinox DJ Booth LED Starcloth in brand new condition and in B-Stock. The B-Stock versions would have been on display at a training evening or trade exhibition only and will come boxed 'as new' with all accessories and a 1-year warranty. Excellent service from WhyBuyNew as always. 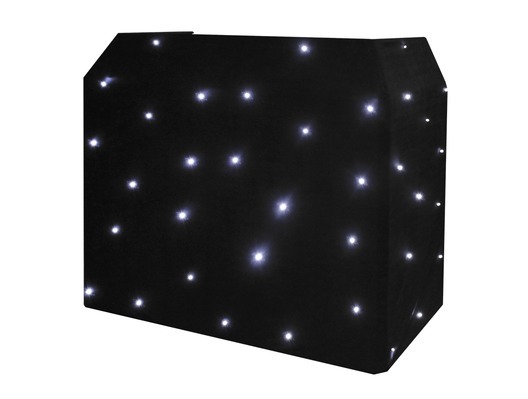 Product very quickly dispatched and great quality. Highly recommend this if you want to add a touch of professionalism to your set. Fits the Gorilla DJ Booth perfectly. A well made product. Adds that touch of professionalism to any gig especially in sound to light mode. A lighting effect in its own right which is very bright. 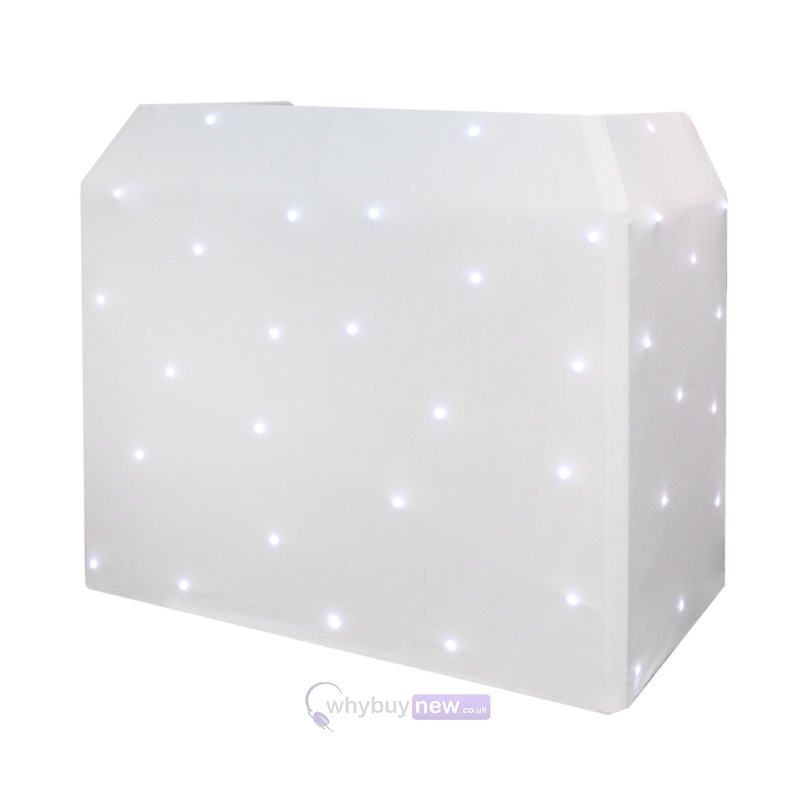 A good carry case, spare led's,controller and mains lead all come with the package.